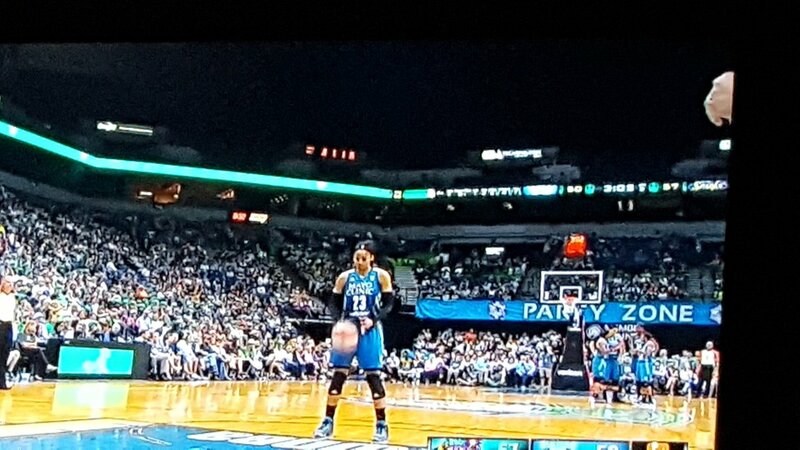 I feel compelled to write yet ANOTHER blog about how the sport media shamefully covers women’s sports in general and the Minnesota Lynx specifically. 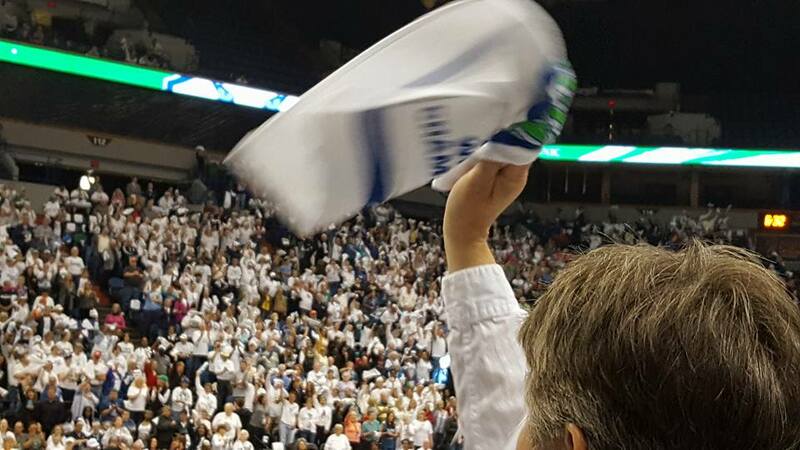 Currently, the Lynx are the reigning WNBA Champions and until yesterday (June 24, 2016) were undefeated, notching a record-breaking 13-0 start, the best start in the history of the 20 year old WBNA league. Shot from Lynx 2016 home opener. Full arena! 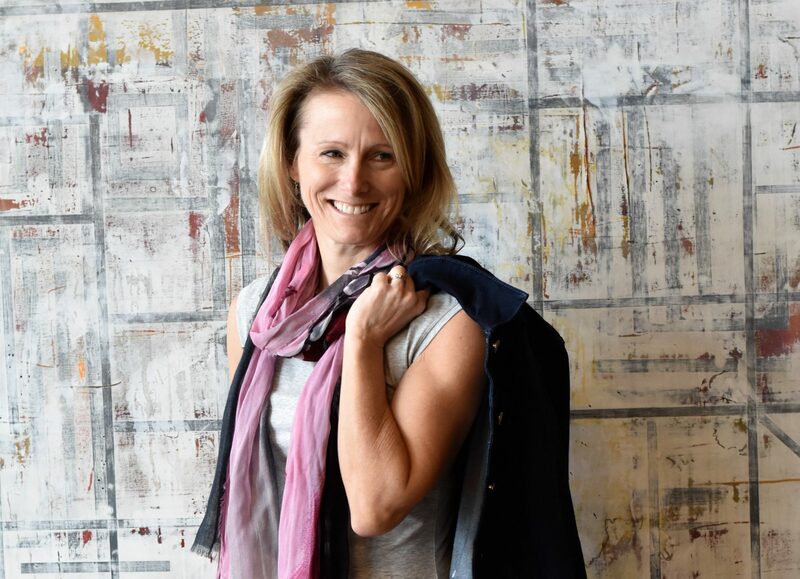 For the last 10 years, and more specifically the last 5 years, I and many others–including Lynx Head Coach Cheryl Reeve, have educated, implored, asked, cajoled and tried to shame the sport media into respectfully and fairly covering the Lynx. Why cover the Lynx? I’ll give you 5 reasons. 1. Because they are amazing athletes that deserve the coverage of their males counterparts. 2. The Media constantly states they cover teams that win. People like to read about winners!…yet despite being the MOST winning team in Minnesota (maybe except for the Gopher Women’s Hockey Team who get nearly NO coverage as 2016 and 7 time NCAA D-I National Champions) the Lynx get less coverage than the Twins, who currently are having a miserable season and started their season 0-9 or the MN Vikings and MN Wild who are currently NOT in season. The Lynx are the most winning pro team in Minnesota. They have been in the WNBA finals 4 of the last 5 years, and have won it 3 times (2013, ’15, ’16). Despite this amazing and dominant franchise, The Media continue to ignore and marginalize the Lynx accomplishments (see the New York Times piece “Cleveland Finally Won a Title. 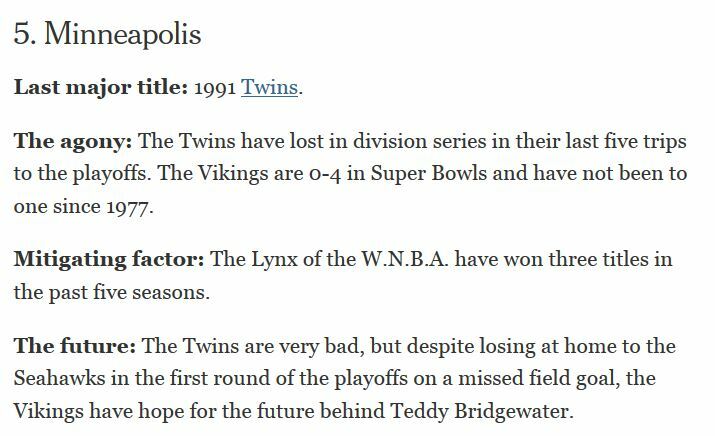 What’s the Most Cursed Sports City Now?”) which ranks Minneapolis as the 5th most cursed city without a pro championship, which erases and dismisses the accomplishments of the Lynx (see screen shot below). 3. The Media states they cover teams people are interested in, but take no responsibility in CREATING that interest. People ARE interested in the Lynx, despite the fact The Media doesn’t give them fair or equal coverage. 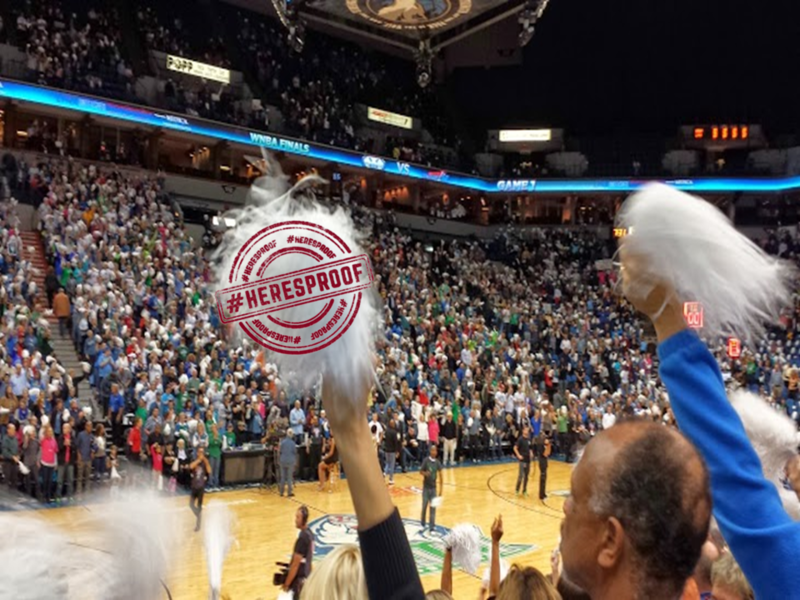 If you have attended a Lynx game, you can’t deny the energy or interest in the Lynx that is palpable in the Target Center where the Lynx play their home games. Shame on MPR, you should know better! If I don’t know or follow the Lynx, this title does not make me want to tune in or attend. It does not increase my interest in the team. And the truth is, the arena is full! (see picture below from the June 24, 2016 Lynx v. Sparks game). Small fan base? Limited interest? What team are you reporting on MPR? 4. The Lynx are positive role models for girls, but also for boys…as good people AND as great athletes. They are good people, care about each other, play unselfishly, are engaged in the community, always give full effort, are gritty & tough competitors, have good sportsmanship, and are the epitome of what champions look and act like. 5. The amount of coverage the Lynx get is disproportionate to their talent and reflects a false reality of participation trends in the US. Female athletes make up 43% of all sport participants, but get < 4% of all sport media coverage (if you want more info, watch “Media Coverage & Female Athletes” an Emmy-winning documentary on this topic). If you agree, share, tweet, and/or post this. Your voice matters. Join the #HERESPROOF campaign to prove the the media that people ARE interested in women’s sport. Shot from Lynx 2013 playoff game. Full arena!